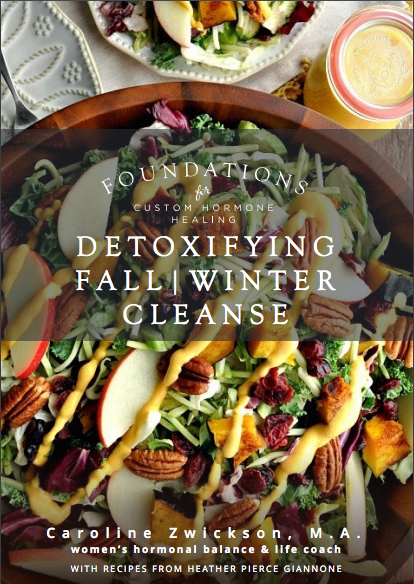 Fall+Winter Cleanse — Caroline Zwickson, M.A. Sign up today and start the cleanse on your own timeline. A 7-DAY DELICIOUS, FOOD-BASED CLEANSE THAT FOCUSES ON GENTLY DETOXIFYING YOUR BODY, REBOOTING YOUR HORMONAL HEALTH, AND HELPING YOU FEEL AMAZING AND BEAUTIFUL IN YOUR OWN BODY. Statistics reveal that almost 80% of women suffer from some kind of hormonal imbalance resulting in a slew of physical and mental health challenges. The most dramatic change for me has been that for the first time in my life, I honestly feel like my sugar addiction is under control. Before starting the cleanse, I really thought the no sugar would be the hardest part for me but I've been able to pass up pastries pretty easily. My mood and energy levels have improved significantly, which says a lot since I thought I'd have no energy since I was giving up caffeine. Before this, I would have at least 2-3 cups of coffee a day. Lastly, I've experienced a 12.5lb weight loss, which is beyond awesome!! you want to lose weight -especially around the middle! 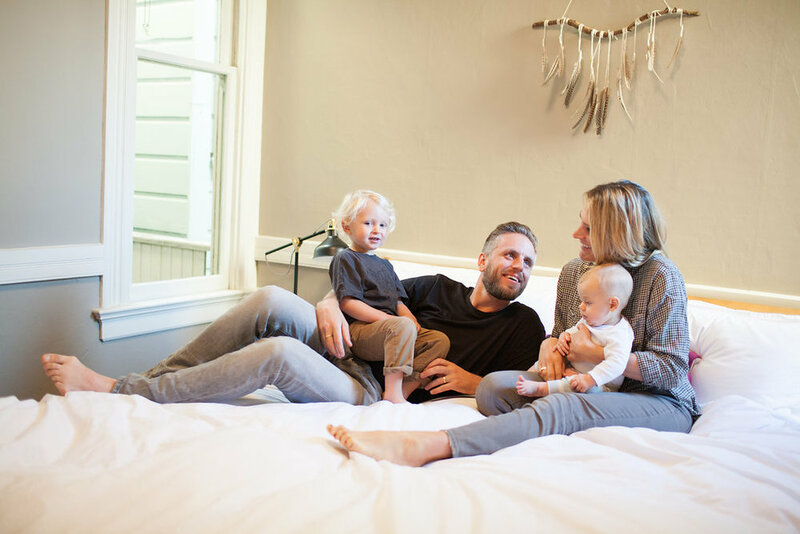 This cleanse is perfect for your whole family! HOW DOES THIS CLEANSE WORK? Then, all you have to do is pick a 7-day period during which you can commit to doing this cleanse. It doesn't have to be the "perfect" week (if you try to do that, you will likely never get around to it;)) but a week during which there is a bit less going on. Sometimes that means shifting some meetings around so that you can focus on yourself and your health. This is not indulgent, it's self-honoring! Don't wait! Make the commitment today and you are SO much more likely to follow through! Hormonal imbalances are majorly triggered by the food we eat, the lifestyle we choose, and the toxins and hormones that are building up in our body without being eliminated properly. This cleanse is the perfect way to reset your hormones! Hormonal imbalances can lead to a variety of bad situations, including infertility, thyroid disease, all kinds of inflammatory diseases, as well as depression and anxiety disorder. The sad reality is that most women feel completely overwhelmed and confused when it comes to healing these imbalances naturally and holistically. This is exactly why I created this powerful yet gentle, food-based detoxification cleanse for you. I want you to experience the power of food. "Doing this cleanse, I definitely noticed a considerable difference in my skin, which was particularly impressive at the start of my cycle, when I always experience at least one breakout. Additionally, the most impressive takeaway was my emotional triggers and how they manifest into certain cravings. I feel much more self-aware and look forward to moving forward with new intentions." 1. A Cleanse Introduction Call guiding you through everything you need in order to succeed and take pleasure in this cleanse. an introduction to fall/ winter cleansing principles: The goal is to eliminate congestion, optimize elimination, and build warming energy. 1. I don't have a lot of time and am afraid that the meal-prep will take too much time and I won't follow through. One of my favorite things about the recipes I give you are the mix & match formulas for smoothies, oatmeal and fall soups. They are so easy and delicious and I promise you will love them way beyond this cleanse. 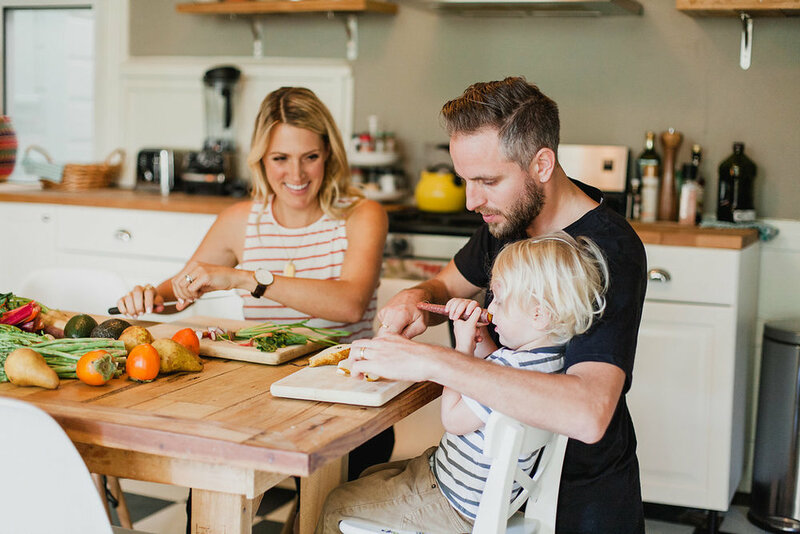 As a busy mom myself I don't have a ton of time and so I also love that I can feed all the cleanse meals to my whole family. I understand that time is of essence. 2. I want to get pregnant in the next 3-9 months, why is doing a cleanse important BEFORE I get pregnant? This is such a great question. Thank you for asking it. The reason it is important to cleanse BEFORE you get pregnant is because you want to enter your pregnancy with a body that is not overladen with toxins and allergens that are only causing inflammation, prevent proper nutrient absorption and don't serve your growing baby in utero. Cleansing during pregnancy should be avoided because you don't want to release toxins from your tissue into your bloodstream because those toxins could get to your baby. Before your pregnancy is the ideal time to cleanse your body and balance your hormones. 3. Does "gentle" cleansing mean that I won't lose any weight? While weight loss is not the goal of this cleanse, it is well known that when your hormones aren't balanced and your body is inflamed, you are likely also holding on to extra weight. If you are battling toxins you body cannot focus on your metabolism. That's why many women experience weight loss and a movement towards their ideal weight. 4. Will the caffeine (and sugar) withdrawal be too hard to keep up and I will just have super low energy... I have a lot to get done? If I can do it, so can you, love. We are eliminating all the common allergens (including caffeine and sugar) and I give tips to handle cravings, keep your digestive system going strong (I know many of you depend on coffee to help you with daily bowel movements, which is not the way to go), and help you find new ways of keeping your energy up that aren't adding extra stress to your body. 5. I've done cleanses before and the results never lasted, so I am hesitant to sign up for your cleanse. My goal in this cleanse is to teach you new ways of nourishing yourself that you will fall in love with and continue on after the cleanse as well. I want you to learn, expand your understanding, and feel amazing way beyond this cleanse. Trust me! You will get a 62 page workbook that you can have for the rest of your life as a guide, resource and inspiration. 6. I have terrible PMS, heavy periods and I just don't know if a 7-day cleanse will fix that. This is such a great question and you're right: if your body is experiencing deep hormonal imbalances, it is telling you that something is off. Nothing you do for just 7 days will fix that completely. The things I am teaching you in this cleanse about blood-sugar balancing and the recipes you will receive are all in support of your hormones and creating true, lasting balance naturally (& without the birth control pill). Let's do this for YOU and the people you love. Certified Women’s Health and Nutrition Coach. Life Coach.